As you know JIO SUMMER SURPRISE OFFER has withdrawn. What is summer surprise offer? if you recharge Rupees 99 to get JIO prime membership and then recharge with Rupees 303 you will get extra 3 months validity, on which you will get daily 1GB Data and unlimited calls, but it has been withdrawn but all the customers who subscribe before discontinuation will remain eligible for the offer. Now JIO has launched it's new tariff plan of Rupees 309 for the customer who has not recharge with Rupees 303. 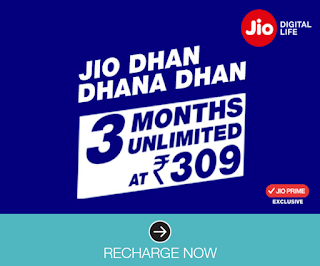 Good new for Reliance JIO user, now you can get 3 months free on your first recharge. 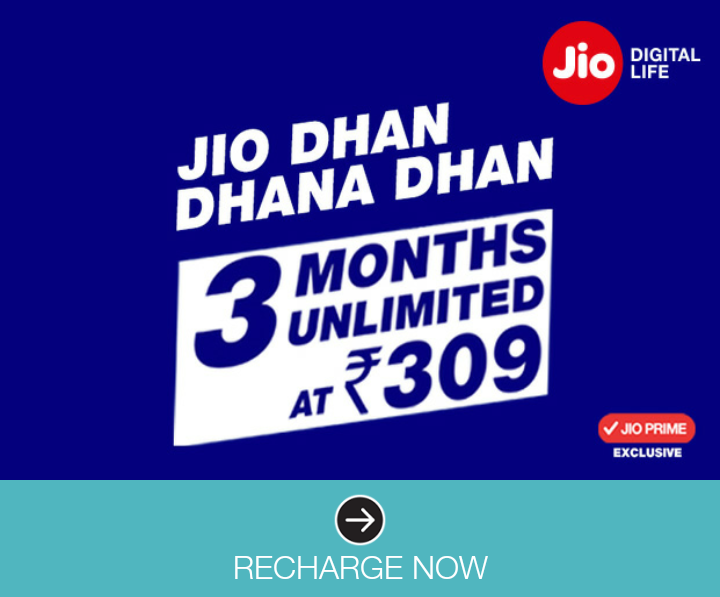 Recharge with Rupees 309 and get 84GB Data and Unlimited calls for 84 Days, if you are not a Jio Prime Member then just recharge with Rupees 408 to get the offer, see the below details for JIO new tariff plans for the month of April, 2017. Note: It's only for information purpose, Reliance jio can remove or change the tariff plans.